There are six members of a Fort Washington family undergoing hyperbaric treatment at Baltimore Shock Trauma. This includes the five family members transported there this morning and a 2 year old child that originally was transported to Children's Hospital earlier in the evening. For additional information about this incident and the remarkable chain of events that led to this mornings discovery of carbon monoxide, contact Cindy Rivers, Public Relations at Baltimore Shock Trauma, at 443-286-5789. A Fort Washington family was found unconscious in their home suffering from exposure to carbon monoxide (CO). 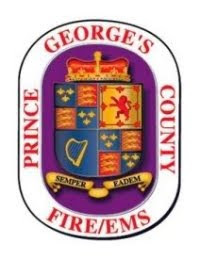 At about 12:30 am, Tuesday February 7, officials from Children's National Medical Center contacted the Fire/EMS Department's 24 hour Watch Office. Doctors were treating a young child at their facility that had been transported there from the family house on Monday evening. After performing blood work on the young child Doctors discovered high levels of CO. After attempts by the hospital to contact the family at home were unsuccessful they contacted the Fire/EMS Department and requested we go to the residence in the 8300 block of Bernard Drive and check on the family. Firefighters and paramedics responded to the home and found five occupants unconscious and immediately removed them from the house and initiated treatment. Firefighters used detection equipment and found high levels of CO, 450 parts per million, inside the homes atmosphere. Anything over 5 ppm is considered unhealthy. The severity of health implications varies based on the amount and the period of time someone is exposed to CO. The family of five, including mother, father and three children were flown by meda-vac helicopters from the Maryland State Police and United States Park Police to a hospital in Baltimore that has a hyperbaric chamber. The five were in critical condition even though some of the patients were displaying slight signs of improvement after being treated on the scene. The age of the children range from an infant to pre-teen. Firefighters discovered a malfunctioning natural gas furnace and believe that to be the cause of the high amounts of CO. The furnace was turned off and the house was ventilated by firefighters. CO is often referred to as the "Silent Killer" for it is a colorless, odorless, and tasteless gas. It results from incomplete oxidation of carbon in combustion and/or the inadequate ventilation of CO after normal combustion. Worn or poorly adjusted and maintained combustion devices (e.g., boilers, furnaces) are just one of several significant sources, or if the flue is improperly sized, blocked, disconnected, or is leaking. A working CO detector is the best method citizens and residents can use to detect the presence of CO. CO detectors are inexpensive and can be purchased at hardware and home improvement stores. • Keep gas appliances properly adjusted. • Use proper fuel in kerosene space heaters. • Install and use an exhaust fan vented to outdoors over gas stoves. • Open flues when fireplaces are in use. • Have a trained professional inspect, clean, and tune-up central heating system (furnaces, flues, and chimneys) annually. • Do not idle the car inside garage and never use a charcoal grill indoors. • Install a working CO alarm.